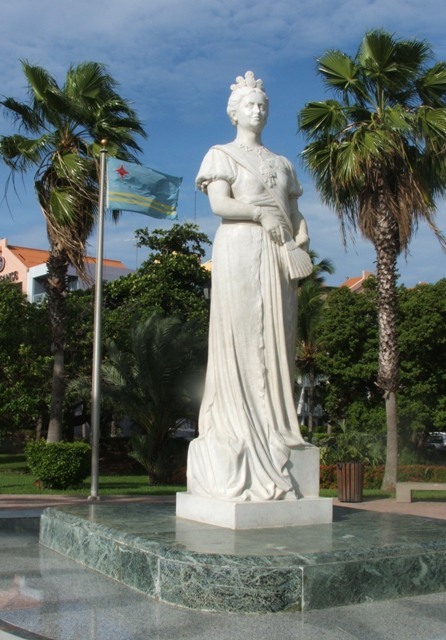 The oldest statue of Aruba is the one of Queen Wilhelmina. 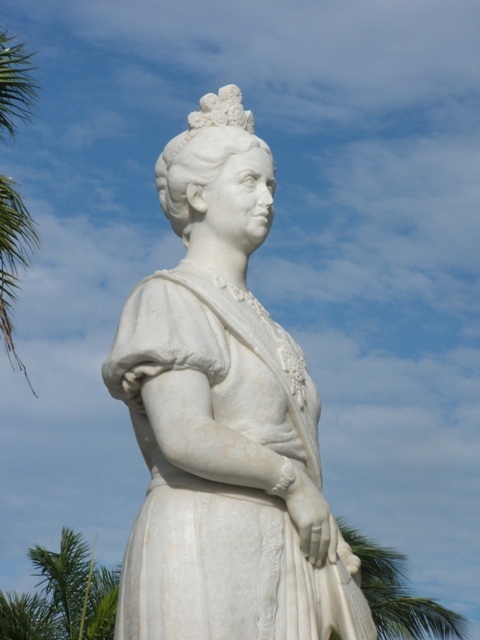 In the park, named after her, the statue was unveiled in October of 1955 by her daughter, Queen Juliana. 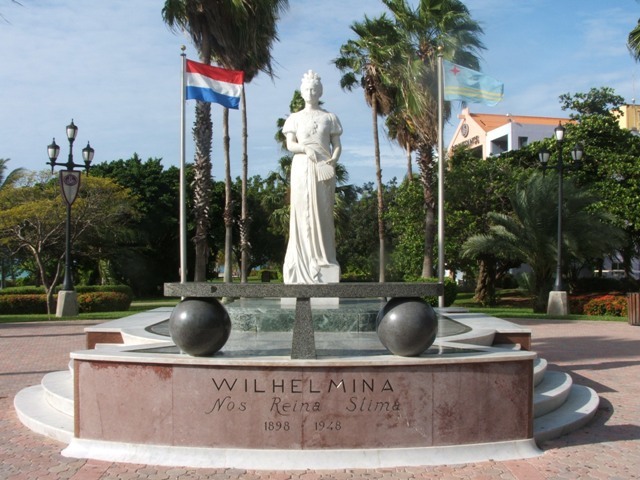 Wilhelmina was Queen of the Netherlands and of Aruba too, for fifty years, from 1898 till 1948. 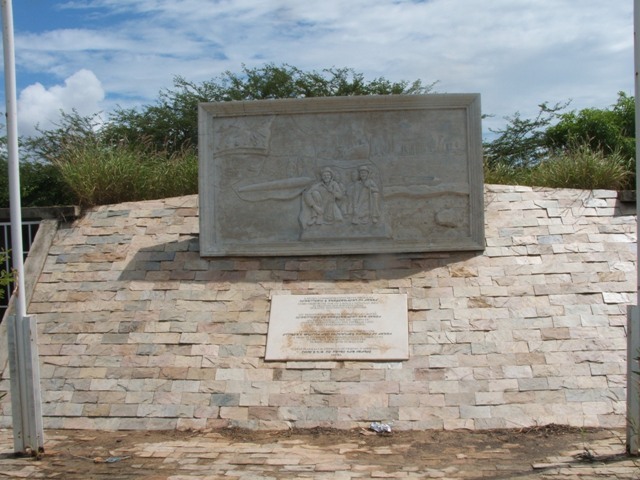 Across from the Wilhelminapark is the Monumento 18 di Maart; on this date in 1848 an Aruban delegation headed by Shon A Eman presented a petition, signed by 2147 Arubans who insisted on the self-determination for the Aruban people, to Her Majesty Queen Juliana during the Round Table Conference of 1948. The names of all signers have been immortalized in the marble plates on both sides of the statue of Shon A Eman, who is depicted clutching the petition. 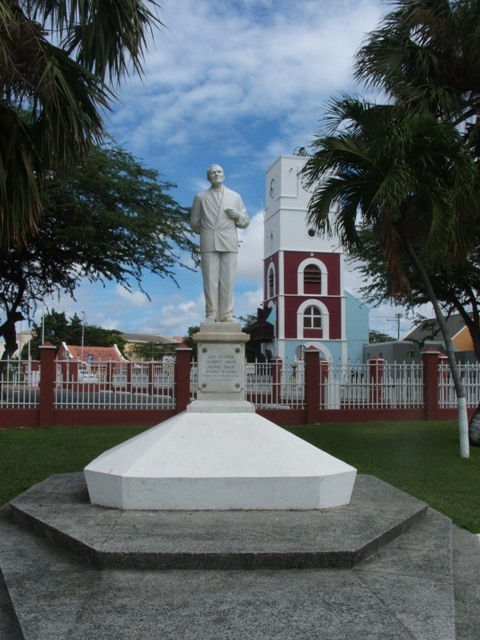 In front of the Cas di Cultura, looking out on the traffic circle at the entrance of Oranjestad, stands the monument for L.G.Smith. 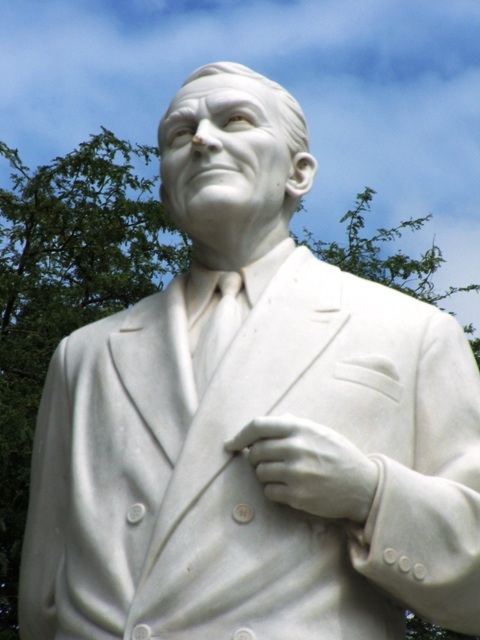 He was the managing director of the Lago refinery from 1933 to 1946, which included the war years when Lago was attacked by a German U-boat. 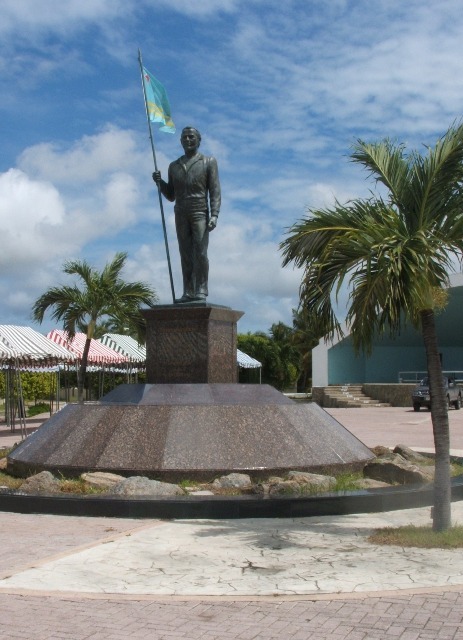 Because of his merit for the island, the boulevard that starts at his monument and that runs all the way to Arashi, is named after him. 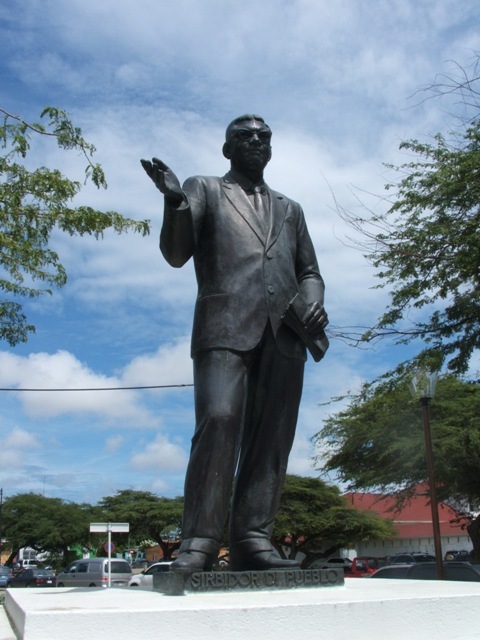 The square in front of the Post office in Oranjestad is called Plaza J. E. Irausquin. 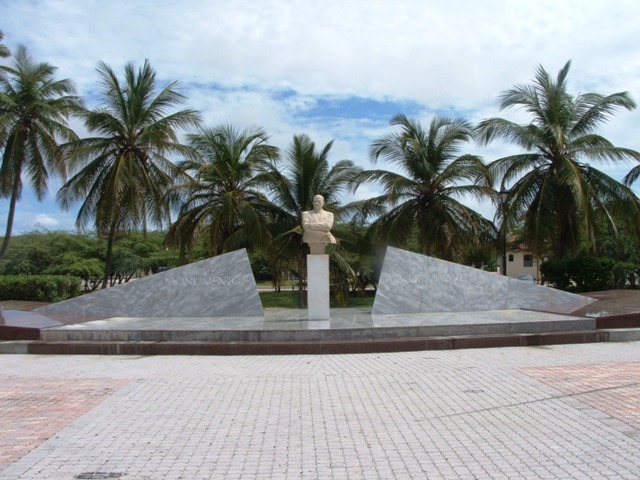 On this square stands the statue of the pioneer of Aruban tourism who took the initiative to build the first luxury resort at Palm Beach, the Aruba Caribbean Hotel. 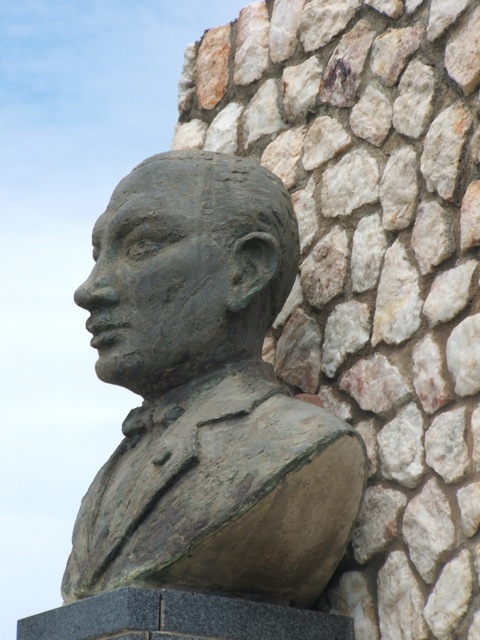 Juan Enrique 'Juancho' Irausquin was founder of the Partido Patriotico Arubano, the PPA. On the L.G. 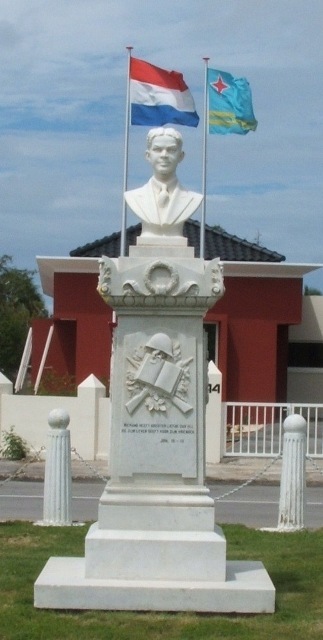 Smith Boulevard, next to the Juliana School, stands the monument in commemoration of the Aruban resistance hero Boy Ecury. As a student in Holland he joined the resistance in the beginning of the war. 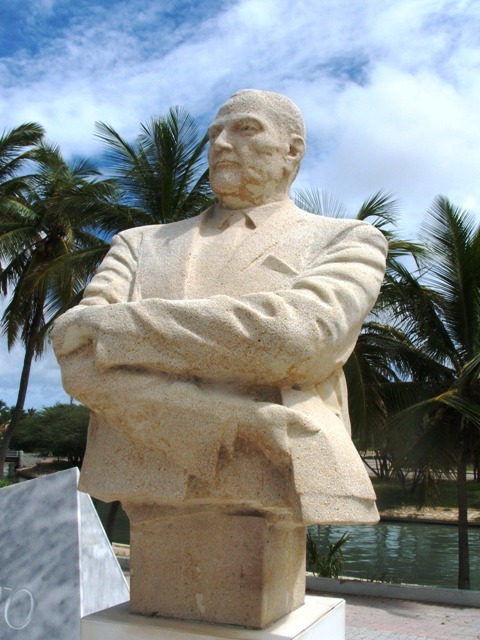 In 1942, he was arrested by the Germans and then executed by firing squad. 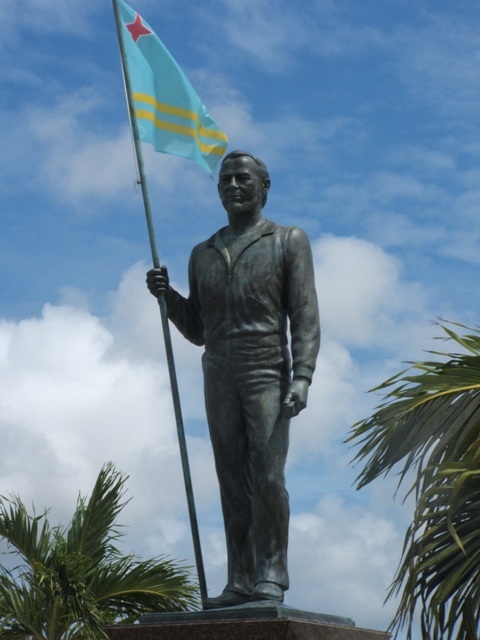 He is buried on Aruba. 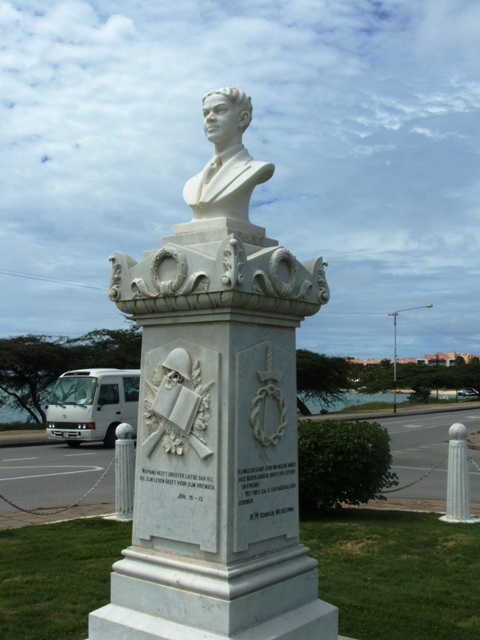 On the Vondellaan, behind the Cas di Cultura, lies the Plaza Libertador Betico Croes. 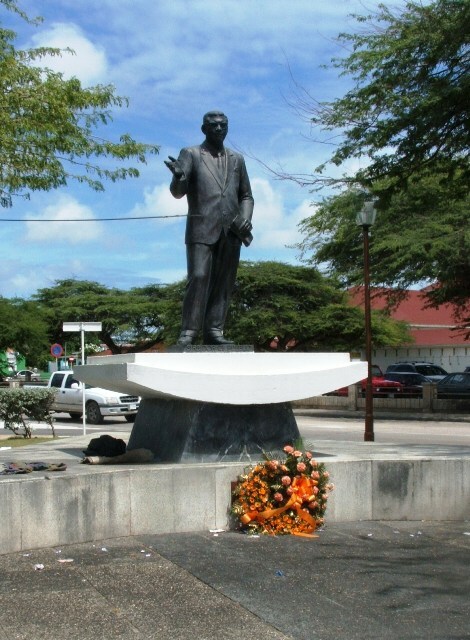 Here stands the second statue, on the same spot, of Gilberto François Croes, founder of thepolitical party Movimiento Electoral di Pueblo, the MEP, and fighter for the Status Aparte for Aruba. 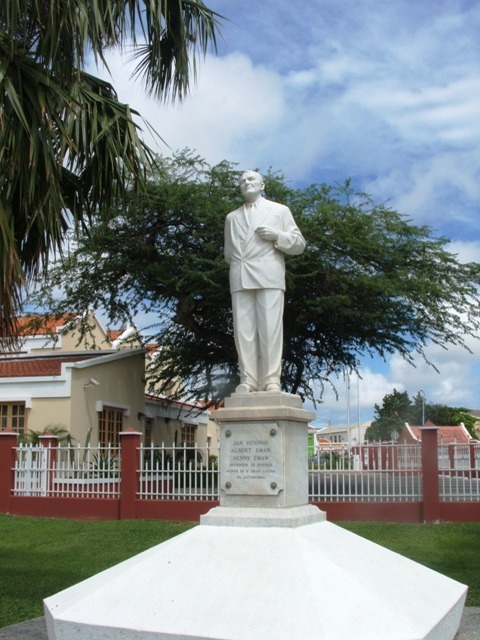 The first statue that stood here for years, is now located on the front porch of Betico's parental home in Santa Cruz and will be relocated again to the square next to this house that is currently under construction and will be dedicated to the island's greatest son. 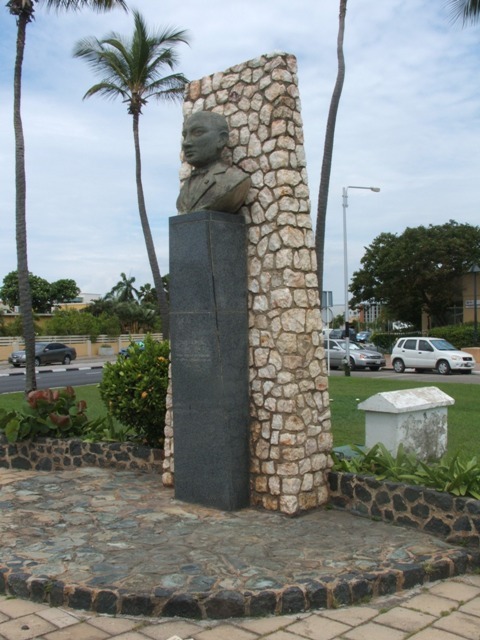 At the beginning of the Lacle Boulevard, two war monuments are to be found. 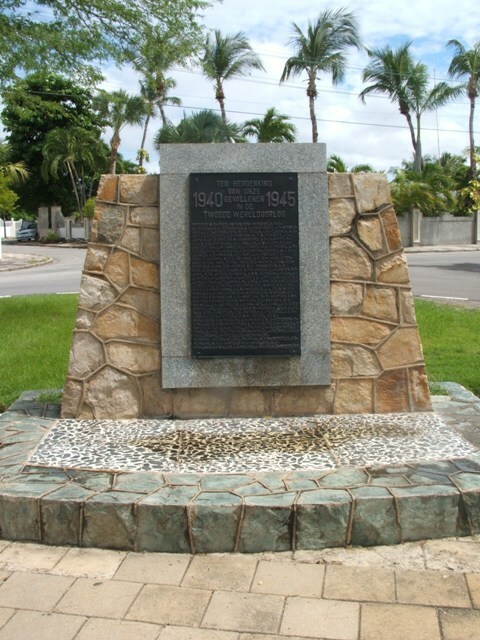 Diagonally across from the synagogue stands the monument for the Citizen's Militia and the Aruban Volunteers Corps, both military corpses during World War II. On the corner of the L.G. 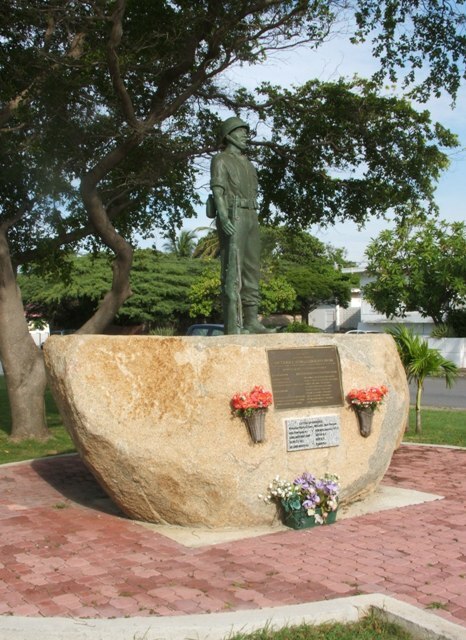 Smith Boulevard stands the monument for the Aruban dead during World War II. Every year, a wrath is laid here on May 4, according to Dutch tradition, as part of the commemoration of the dead. 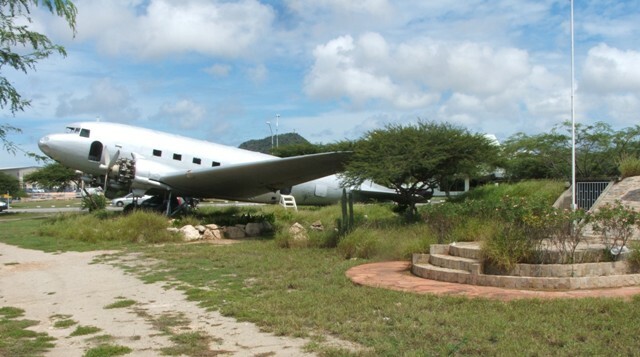 Near the intersection in front of the airport, the Monument for the Citizen's Militia and the Vigilante Patrol of Aruba is located. Under the monument, there is a bunker from World War II. 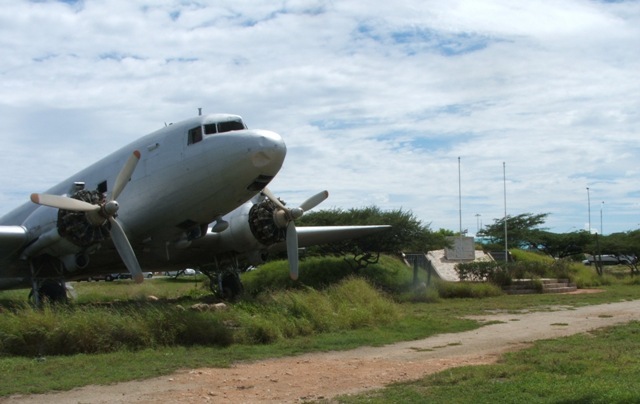 The site mainly attracts the attention because of an enormous DC-3 plane, as was used during the war.